This week, as delegates from across the globe headed to Davos in the Swiss Alps for this year’s World Economic Forum, Saudi Arabia sent its own delegation including its economy, finance, and foreign ministers, while other prominent figures from the country were also in attendance such as its first female filmmaker, Haifaa Al-Mansour. She went on to explain to CNBC during the panel that she opposed the stereotype that "Arab women are not in control of their destiny," while adding that "sometimes they are not, because of family ... but that does not take their soul, and that does not take who they are as people, as fighters, with a strong will to survive and to succeed. So that is a huge misconception, we are way more than who they think we are as women." Al-Mansour also discussed how the Kingdom is now shifting from its past conservatism to nurturing a society that is less restricted, one where social norms have been greatly changing over the last couple of years, saying, “I knew I came from a society where women are expected to take a more traditional role, but I feel this is changing because I now feel more celebrated at home,” she said. 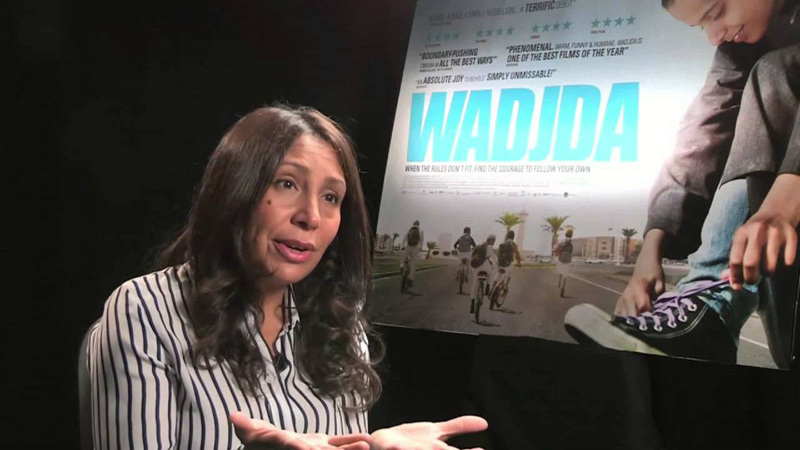 Known regionally for her films that have strong female protagonists, Al-Mansour’s first breakout feature film “Wadjda” was shown at the Venice Film Festival in 2012. It tells the story of a Saudi girl who dreams of owning a bicycle. “Wadjda,” which Al-Mansour not only directed but also wrote, made history as Saudi Arabia’s first full-length feature to be shot entirely in the Kingdom and also as the country’s first foreign-language Oscar entry.